Tatasky HD Technicolor Box Software Updated. DTH Updates: Tatasky HD Technicolor Box Software Updated. 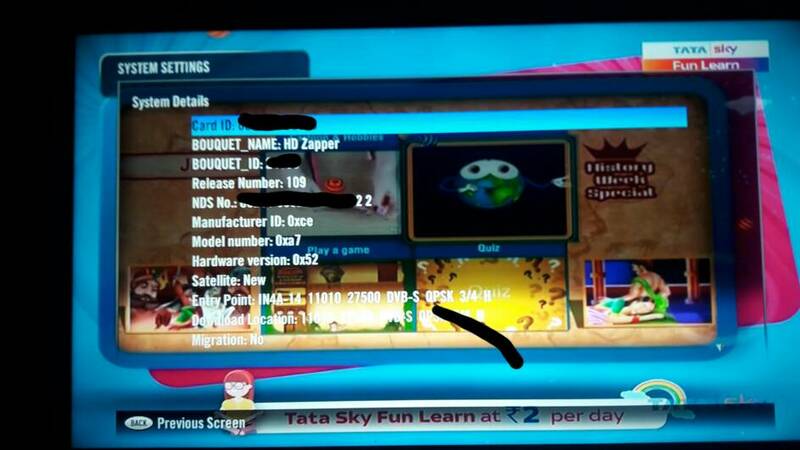 DTH Updates : Tatasky HD Technicolor Box Software Updated. Channels change now very fast. One new Change found now "Actve" renamed " TataSky Services"
It was changed in 108 version itself.. When no signals that audio says about not avaialbility of signals in English and Hindi untill signals back..